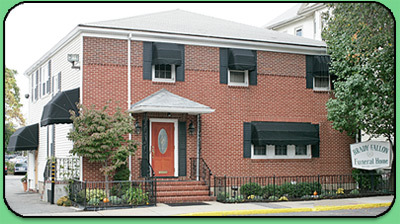 We are located at 10 Tower St. in the Jamaica Plain (also known as Forest Hills) section of Boston. Tower St. intersects both Hyde Park Ave. and Washington Steet. Directly across from the Forest Hills Orange Line MBTA Station. Traveling by public transportation from the Forest Hills MBTA Station, exit the station on the Hyde Park Ave. side and walk directly across the street. From the Boston (Fenway) and Cambridge areas, Rt. 203 is also known as the Riverway. Travel the Riverway to rotary, follow the signs for Rt. 203 East, exit at Forest Hills-Roslindale off ramp. At the end of off ramp turn left followed by an immediate right turn onto New Washington St. travel to 1st set of lights and turn right onto Washington St. travel to 2nd set of pedestrian lights and turn left onto Tower St.
From the South Shore, Dorchester areas Rt. 203 (Morton St.) Travel Morton St. to Rotary and take the 3rd St. out of the rotary. Travel to 1st set of lights and turn left onto Washington St. then travel to 2nd pedestrian light and turn left onto Tower St.
Rt. 128 area, exit at 15A. Stay straight off exit. Follow straight past Best Buy (on right). 2nd set of lights past Best Buy, bear right onto Washington St. towards Forest Hills-Roslindale. Then travel Washington St. for approx 4 ½ miles directly into the Forest Hills area. Turn right on Ukraine Way (just before the T station) and at the next light turn left onto Hyde Park Ave., Tower St. is your 3rd street on right. Turn right on Tower St. Funeral Home is 1st bldg. on left. Funeral Home staff will direct you to our off street parking lots. Please Call 617-524-0861 If You Need Further Assistance.